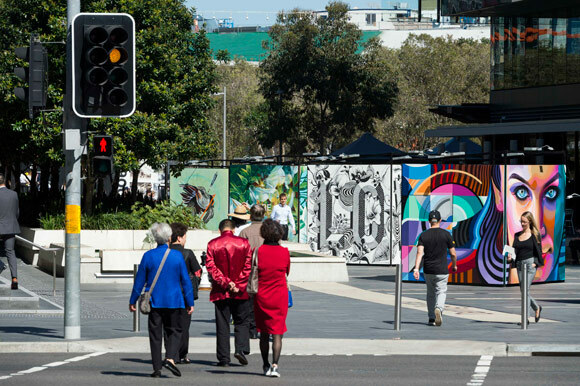 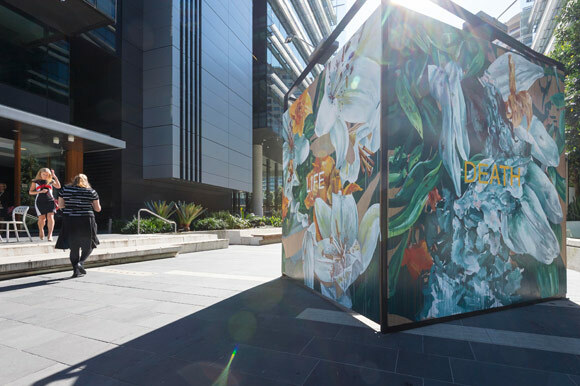 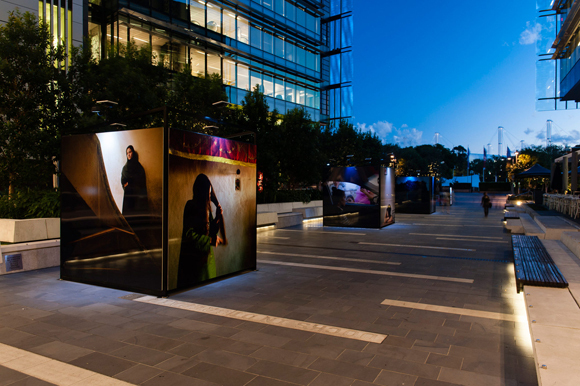 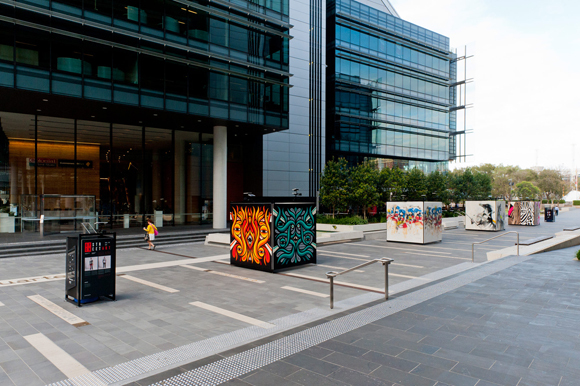 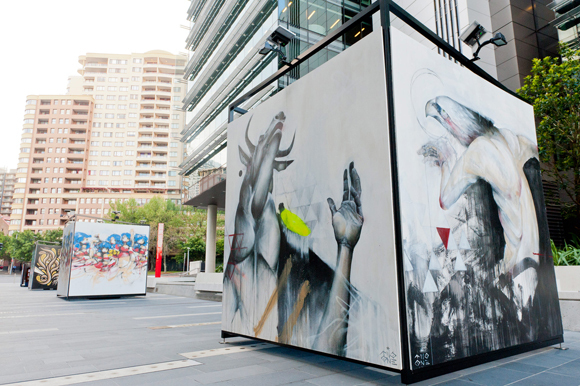 Wiltshire + Dimas developed OPEN at Darling Quarter as part of the precinct’s placemaking program and it has fast become one of the most significant outdoor public art exhibition spaces in Sydney. 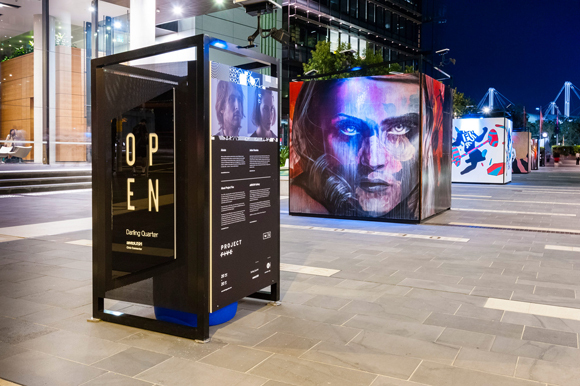 OPEN is a semi-permanent public art space located in the Civic Connector at Darling Quarter. 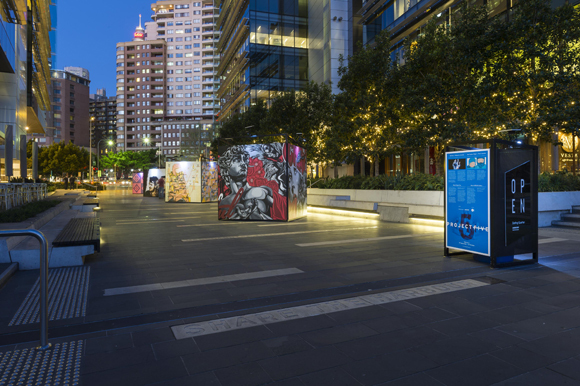 Equiped with customised and site specific designed infrastructure to facilitate outdoor exhibitions and activations, OPEN is programmed all year around with cultural activations from contemporary street art to contemporary and urban photography exhibitions. 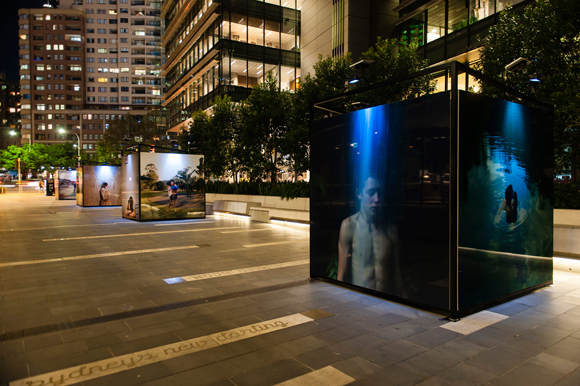 Cultural programming is produced and curated by Wiltshire + Dimas and to date there have been a number of very successful activations during Vivid Sydney, Reportage Photography Festival, Art & About Sydney, Head On Photo Festival and more.